Home » Website Building » SEO » What is On-Page SEO? On-Page SEO – improvements done on the site itself like quality content, titles and meta description. Off-Page SEO – improvements done outside your site to improve search ranking. Here we discuss on page SEO in detail. A webpage has lot of parts out of which some are visible when viewed in a browser and some are invisible in a browser. It is necessary to improve each part of a webpage in order to rank better in search engines and get more traffic. The example search result from Google as shown below indicates the elements to be optimized which will give the first impression to visitors about your webpage. Ensure to register your own domain name which can be easily remembered by the visitors. Users access most of the top sites in the world by entering the URL directly in the browser address bar. For example, think how you open Facebook, Twitter or Google. The next optimization is the URL of each page in your site which is shown in the search results. Avoid using lengthy or short URLs and ensure to have 4-6 words without any special characters. Page title is one of the important factors in on page optimization since it is the first line shown in search results. Use descriptive title which is suitable for your page content and ensure your title length is appropriate so that it can be displayed completely in the search results. Meta description is the brief explanation which helps the users to expect what will be discussed inside your page. Count the number of words that can be accommodated in a meta description in order to display the complete description in the search result. Search engines may also show an extract from your content which is more suitable for that page instead of meta description. Without any doubt, content of your pages decide the popularity of your entire site. Good content is shown top in the search engines, shared in social medias and drive more traffic to that page. Good page should have a content of 400-600 words in simple understandable language without any spelling mistakes. Concentrate more on the core topic and avoid dragging the topic without real content. Avoid copying content from other popular sites. Keywords are single words or phrases which are used by the search engines to index and retrieve your pages. When a user enters a keyword in the search box and hits enter, search engines crawl the pages which are indexed in its database. Most relevant pages for those keywords are displayed in top of search results and get more clicks from the users. Hence, however good your content is, keywords are the factor decides the amount traffic to your pages. Make your content keeping the users in mind and automatically keywords will be accommodated. Do not stuff your content with the most searched keywords on that topic. Search engines will ban your site for unnatural content. Besides having own and good content, it is necessary to link your own pages and external site pages appropriately to ensure users can get complete details of what they want. 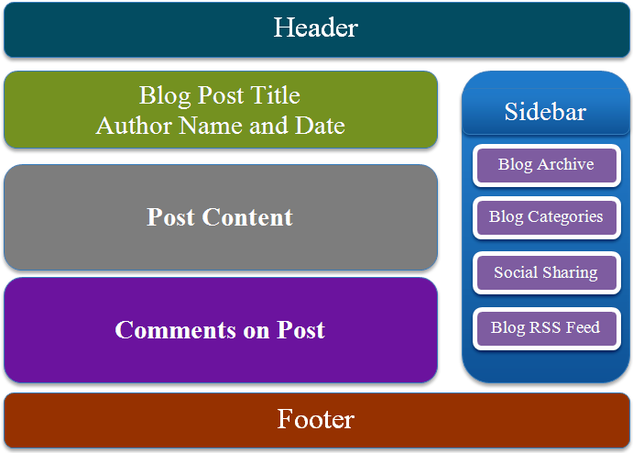 Site navigation includes horizontal or vertical menu bar, contextual links, image links and footer links. Check for the broken links periodically after publishing your site. Ensure all links are accessible and easily visible. Add links only on required places to avoid users get distracted by the links. Open and check your site in all devices like desktop, mobile and tablets. Also ensure the compatibility with various browsers like Chrome, Firefox, Safari and Internet Explorer. Images are to be carefully used in pages since each image is stored in a different location of your site and loaded independently of the content which will directly affect the loading speed of a webpage. Ensure to use alt text for each images in your site which is the anchor text indexed by the search engines. Also the alt text is displayed in the browsers when the image can’t be displayed for any compatibility reasons. Avoid using bitmap images due to the larger size and crop all type of images to the required size before uploading. Avoid using GIF images for illustration since it may not render appropriately in some browsers and in mobile devices. Flash Content – search engines may not index your Flash content hence ensure to have a text content for any Flash content. Moreover, Flash content is not supported by some of the mobile devices and users can also disable Flash which will affect the user experience of your webpage. Frames – with search engines indexing each page separately avoid nesting pages using frame which will directly affect your site ranking. Redirects – check there is no 404-Page Not Found errors for your pages and ensure to setup 301 redirects for the changed URLs.